Miata wasn't running like it used to, stuttering with light throttle, not running like it used to. New plugs and wires helped but something still wasn't right. Had the shop in Jacksonville pull the injectors and I shipped them on Monday. They received them mid day Tuesday and processed them and shipped the same evening. Shop reinstalled them and all is back to the way it used to be. Thank you for doing what you said you would do. Suspected I had clogged injectors on a supercharged Seadoo. Took the injectors in to have them inspected. Found out an injector was very dirty and another leaky. They cleaned them right up. Saved me alot of money on new injectors. Ski runs great now. Very courteous and knowledgeable staff. Same day Service! Anthony had everything I needed to piece together my fuel rails, he took his time to look up everything and explained the best way to install it. The prices were great and not over priced, and they had a lot of items in stock. Thanks for the great service I had received from you guys! Stopped in for the first time and was very impressed with the inventory and service. Got all the fittings and lines I needed to plumb my carb and oil lines. Great customer services, owner knows his stuff, very knowledgeable. Will do business here again. Knowledgeable, courteous, personable sale staff. Extensive inventory. Great experience. 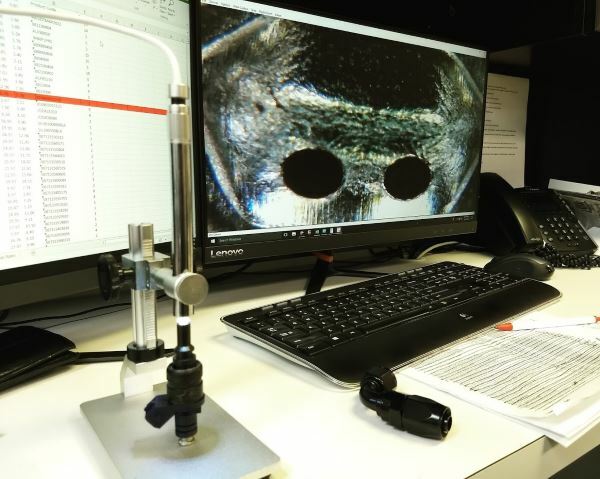 Unlike the online only shops, you can walk into our 5 star reviewed, fully stocked, physical Palm Beach based southern Florida location and speak with a fuel injector technician. 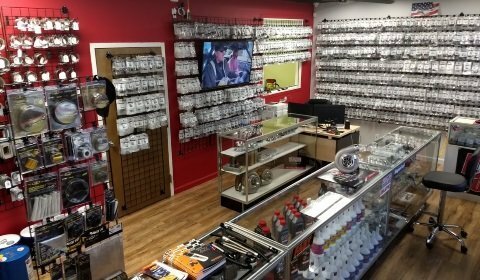 Check out our retail store, in the back is our full size, climate controlled injector shop, and warehouse/shipping department. 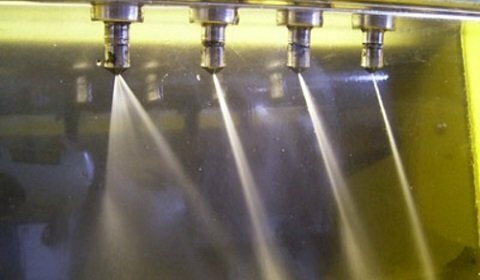 With over a decade of fuel injection technical experience, we're fully equipped to service, clean and test nearly any port, or GDI gasoline fuel injector. Marine clients, we also service Yamaha HPDI, BRP (Evinrude, Ski-doo) ETEC, Ficht, Optimax (air and fuel injectors) and most older, outboard side-feed injectors. Nearly all injectors shipped to us are serviced the same day, unless additional services are required, or parts need to be special ordered, most injectors will ship back to you the same day we receive them. (Ficht or E-Tec may take an additional day) Please leave all caps, and o-rings on to ensure correct replacements are installed. Please DO NOT include retaining clips, mounting hardware, or electrical connector parts, we ONLY need the injectors themselves, you will only receive the injectors back, we will not be responsible for any missing unrelated parts after service. Place your items in plastic and package securely. UPS, FedEx* or the Post Office will return your package to you if it smells like fuel. Include your name and contact information with your packaging. Please make sure to include your phone number, we will contact you for payment, and return shipping details. Upon arrival we will inspect your injectors, call you to confirm they've been received, and contact you again when complete for payment. UPS is the only shipping option that will be offered. 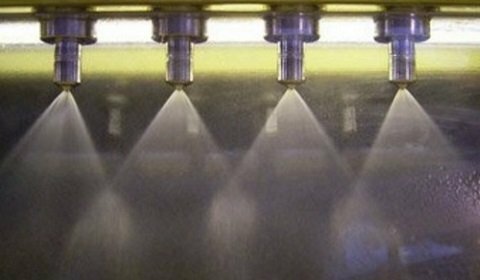 USPS has lost countless sets of returned fuel injectors, they are no longer a shipping option. Residential shipping is usually $13-$17, shipping to businesses is typically $9-$11 - Overnight options are available for an additional fee. If you wish, you may include a prepaid label with your injectors and we will use it to return ship. *FedEx and USPS regularly deliver to us near the end of the day, shipping FedEx or USPS may delay your service, we don't recommend them. We have a daily UPS evening package pickup, FedEX & the post office do NOT pickup here on a schedule. FedEX charges $11 to pickup, if you include a prepaid FedEX shipping label, you will be responsible for the pickup charge.